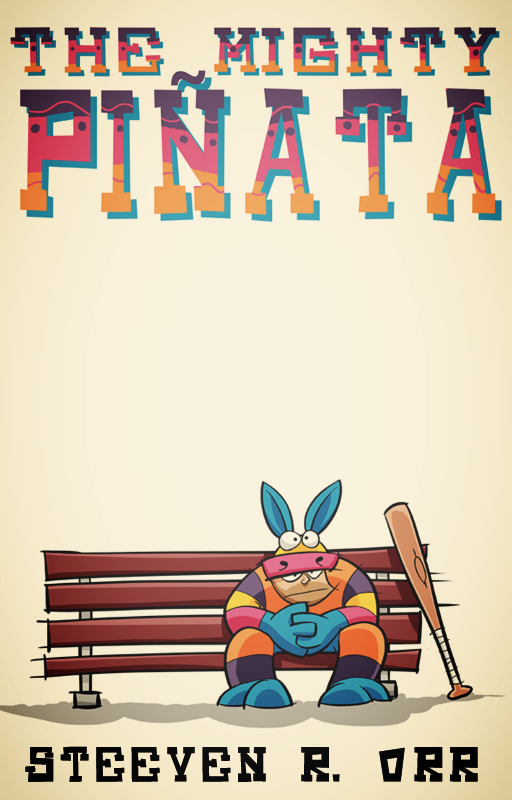 THE MIGHTY PIÑATA, WARRIOR of Justice, Soldier of Fair Play, Sentinel of Everyone Getting Along for Once in Their Lives, clawed his way into consciousness as if he were a cat breaking in his newest scratching post. When last he’d looked out upon the world through the eyes of Clarity and Not Being Passed Out, he had been on the floor of a small office. Now, he was once more in one of the hospital’s beds. He might have thought for a moment that it had all been a dream, that he was finally waking from having been shot across the top of his head back in Bill’s Diner. He might have thought that. Of course, if he had given that thought more than a passing fancy, he would have been wrong. The moment he woke in that hospital bed he knew he was in trouble. The cuffs they’d used to lock him to the bed was his first clue. Had he not noticed the cuffs however, a thought that almost made him laugh due to its ludicrous nature, he would have certainly realized the bother he had been put in simply by the six men and women standing around the bed aiming rifles at him. Again, the Piñata was silent. “What? said the man with more instance. “Why will you not respond?” With this, the man stepped forward so that the Piñata could see him clearly. King Crab, the Piñata thought. I knew it would only be a matter of time before he showed himself. “I am not a villain,” said King Crab. Of course you are, thought the Piñata. “Of course you are,” said the Piñata aloud. Once again, the Piñata did not respond. Instead, he only looked at King Crab. From the red and white epaulets upon the man’s shoulders, to the thin and twisty mustache that stuck out on either side of his face, until finally resting on the crown upon the man’s head that had been adorned with a large, red, crab. The Piñata felt a grim sense of satisfaction when he saw one of the six rifle-wielding soldiers, a woman, smile at his words. IT HADN’T TAKEN TRISHA long to realize that all of this, her decision to join a paramilitary organization bent on changing the world by any means necessary, was probably a mistake. Politically, she didn’t agree that the current administration, or any administration before, had the people in mind when making policy. In her opinion, it was all about how much money they could make and nothing more. She wanted to change that. Tried to change it. She’d gone to rallies and marches. She’d signed petitions and participated in sit its. All of which had done squat. So, she looked for ideas elsewhere. In her zeal to make a difference, she’d chosen the first group that had come along. Now she was in a red jumpsuit, in a hospital room, holding a gun on a man cuffed to a hospital bed—a man dressed as a piñata—standing with five others who also held guns on the piñata garbed man, while their leader, the man she’d chosen to follow into all of this, cowered in the dark. Any respect she had held for King Crab had quickly been dissolving as the man argued with the Piñata. It was then that it really hit her. With those words everything had finally fallen into place. A man who chooses such a silly way to dress? King Crab wore a crown on his head with a crab on it. A crab! How could she have not seen it before? How can he not see it himself? A man with a crab on his head throwing judgment at someone else for the way they dress? Has he looked in a mirror lately? “Have you looked in a mirror lately?” said the man on the bed. What were they trying to accomplish here? They, the Prawn, were told very little. Only that what they were doing here today was to be an important moment in the history of the country. A big step in a long road to fixing things. But what that step was, well, she had no idea. “Why don’t you fill me in, then?” said the Piñata. “Until proven differently, sure,” said the Piñata. That’s when it happened. She hadn’t meant it. She’d tried to hold it in. But at the Piñata’s words she’d let escape a single, solitary, giggle. King Crab spun, facing her with a face nearly as red as the crab on his head. “What?” she said, her eyes going wide. Trisha looked from King Crab to the man in the bed. The man dressed as a piñata. She raised the rifle. She looked the Piñata in the eye, frowning. He, in return, smiled a reassuring, almost comforting smile. “Shut up,” Trisha said, her voice cracking. She placed her finger on the trigger. She inhaled, then exhaled. A bead of sweat rolled out of her hair, down her forehead, and travelled along the bridge of her nose, pausing there at the tip, before falling onto the rifle. “Shoot him now!” King Crab screamed. Trisha sighed, took her finger off the trigger, and lowered the rifle. “I can’t,” she said, turning to King Crab. “I didn’t sign up to kill people. Not like this.” She dropped the rifle to the floor. “Well then,” said King Crab. “You reveal yourself to be a traitor to the cause. Take her,” he said to the others. Two of the prawn grabbed an arm each. We have now reached the end of what is Part One of the Saga of the Mighty Piñata. We will pause here for a month or so, ending as we have on a number of cliff hangers over the last few chapters, as I prepare the next Part. I only have one question. Do I put Part One out on ebook and paperback now, or wait until I have a few more parts under my belt? All Content Copyrighted © Steeven R. Orr and Harold C. Jennett III 2018. Ethereal theme. Powered by Blogger.